Let’s be honest, Bernie Sanders and his campaign of “democratic socialism” have struck a chord with young people and the millennials. To deny that would not only be inaccurate; it would be a lie, because it’s true. His primary base is among the youth, who are looking and ready right now for something new. They’re not afraid of socialism. They weren’t indoctrinated by Ronald Reagan’s propaganda against communism. Voters aged 18 to 29 who cast ballots in 2008 were a record high at 48 percent. (Washington Post, May 14) By 2012, that number had fallen to 41 percent. Young people began to realize that just because Barack Obama looked Black didn’t mean that he was going to speak to the issues of Black bodies, not only here in the U.S. but internationally. In 2008, dark nations from all over the world were absolutely thrilled with the Obama win! People of color were celebrating all over the world: Brazil, Haiti, India, Kenya, Puerto Rico. Everyone was excited; that is, until this same face became a facelift of U.S. imperialism. Iraq, Afghanistan, Venezuela, Libya, Somalia, etc., all became targets of this same facelift. And as more and more of the working class right here at home — white, Black, Latino/a — suffered the brunt of ruling-class priorities and corporate thuggery, with a continuation of the status quo, school closings and the construction of private prisons, the covers began to be pulled back. Young people saw all this for themselves firsthand! You wonder why the youth are taking over streets and highways? That’s why! You wonder why young people are sitting in, dying in and shutting stuff down? That’s why! Yet people are wondering why the students at Missouri, UCLA, Duke, Harvard, even The Citadel are raising their voices and making some serious demands. That’s why! We lived the false promises. We saw what happened to Oscar Grant. We saw what happened to Troy Davis. We saw what happened to Trayvon Martin, Renisha McBride, Sandra Bland. We saw the truth of this ugly system! And it didn’t take a rocket scientist to figure out just how messed up it really is. It hurt the old and the young — something that really lit a fire within this generation, particularly among Black women. We watched a Black president, married to a Black woman, who fathered two beautiful Black girls, have the nerve to support a $2 million bounty on the head of an exiled Black woman freedom fighter, Assata Shakur, who has given her life to the pursuit of Black Liberation, who has had no choice but to live separated from her family and kinfolk. When the U.S. government waged a new war on Assata, President Obama and this racist, capitalist system truly revealed itself to a new generation. It was a new war on all of us, a new war on the same people who actually believed in 2008. After Mike Brown’s body lay in the street for four hours, dangling in the streets of Ferguson like strange fruit, all bets were off! So here we are, a year and half later. Black Lives Matter and a host of others are shutting these candidates down, Republicans and the Democrats. “To hell with ‘em! To hell with the whole damn system, and everything it stands for!” That’s the sentiment now, the raw and unfiltered emotion that neither Hillary or Bernie nor the Democratic Party had prepared for. But, thankfully, the effectiveness of this movement isn’t leaning on the vote because it’s rooted in the streets. It is fueled not only by our constant state of mental and physical oppression, but by direct action and radical resistance — by any means necessary. If that means interrupting Bill Clinton, so be it. If that means shutting Trump down, so be it. If that means boycotting Christmas sales, so be it. If that means holding officials of color like [Cook County State’s Attorney] Anita Alvarez accountable, so be it. And if that means that Black youth need the space and time to organize ourselves, as in the Movement for Black Lives Convening in Cleveland, Ohio, last year, so be it. As a revolutionary Marxist-Leninist Party, we have to support that, respect that and get behind it. 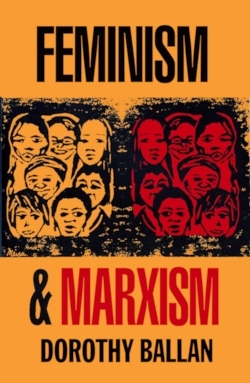 What we see today from several socialist tendencies is so whitewashed, academic and judgmental. What we’re seeing from this new surge of Black and Brown millennials is an internal struggle being played out publicly of what self-determination is going to look like for them in the U.S. The job of revolutionaries is to try to understand them, not to silence them. The struggle will continue in the streets, on the picket lines, in the classrooms of college campuses. Revolutionaries should be on the right side and ready to fight with every weapon at our disposal. 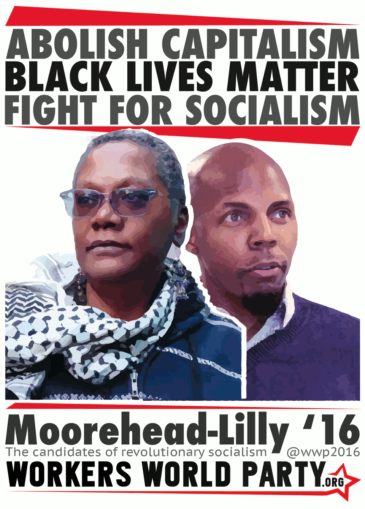 Marcy would agree that Black lives will only matter when self-determination matters. 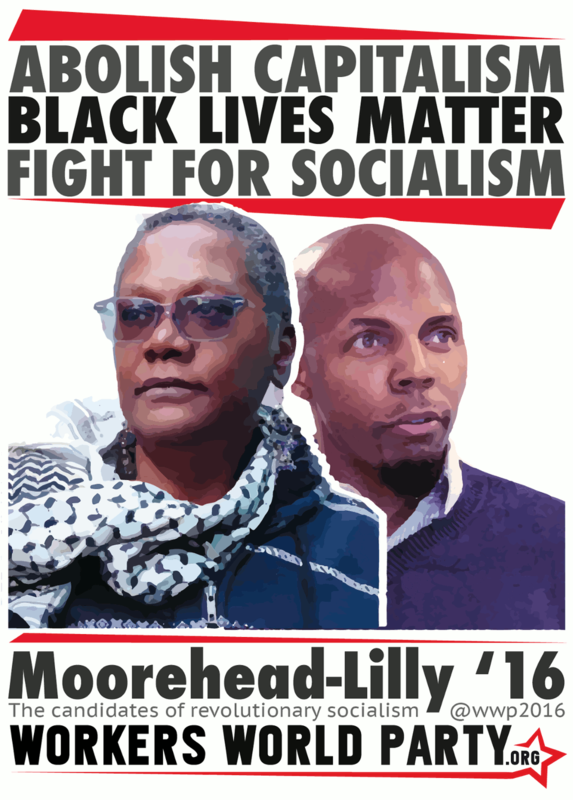 Lilly is the 2016 vice presidential candidate of Workers World Party.